The second Wolverine movie will not be a sequel to the first, says director Darren Aronofsky. The X-Men movies have got a little complicated over the years. The problem isn't that the stories are intricately intertwined, rather, it's that the stories don't intertwine at all, but feature a lot of the same actors. The upcoming X-Men: First Class movie is a different continuity to the first three X-Men movies, with X-Men Origins: Wolverine different again. The next Wolverine is set to make the whole thing even more confusing, because it seems that Aronofsky plans to make it a "stand-alone" movie, and start another continuity. Aronofsky said that the movie he's making - officially called , "The Wolverine," with no number attached - isn't a sequel in any normal sense of the word. This could mean that the movie just won't reference the events of X-Men Origins: Wolverine, or it could mean that they're considered non-canon for the purposes of Aronofsky's film. Either way, keeping track of what has and hasn't happened to Wolverine - and when - sounds like it's going to be a little tricky. The Wolverine will tell the story of Logan's adventures in Japan and his illicit love affair with a Japanese women that brings him to blows with her father and brothers. 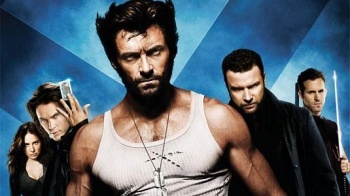 Academy award winning screenwriter Chris McQuarrie is writing the script, and star Hugh Jackman says that it will be a "meatier" and more "thought-provoking" Wolverine movie. Filming is scheduled to start in March, with the release date listing simply as "2011."